Stand on history. Play ball! Hit up a national park. Get your Bollywood on. Honor Mother Earth. Soak up Native culture. Take in the big country fest in Cruces. 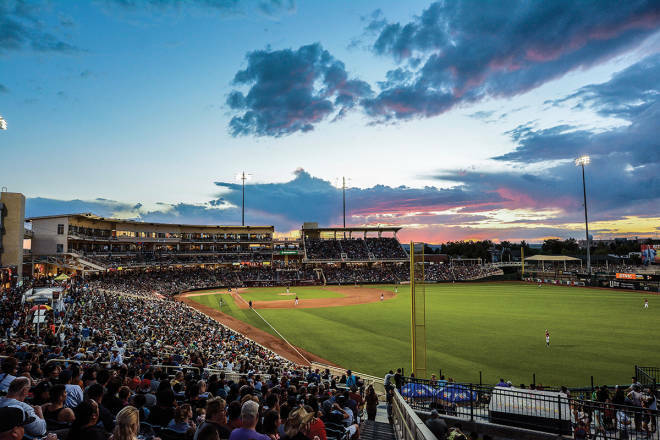 Above: Dusk settles over Isotopes Park.